Order your LP T-shirts now!! Hey Litratong Pinoy Members, Order your LP T-shirts now!! Deadline is on April 5.. I already ordered mine and I am so excited. 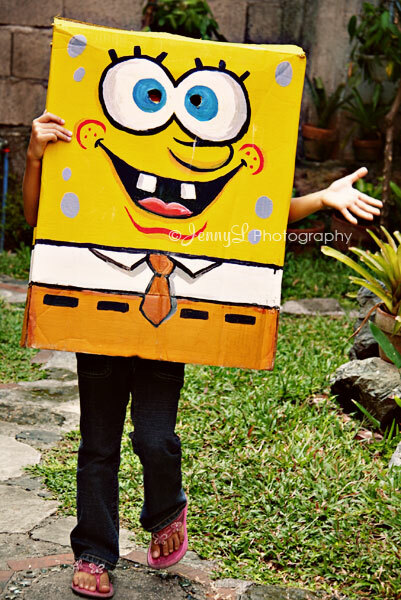 We'll be wearing this on our forthcoming photoshoot EB on April. Earth Hour 8:30 - 9:30 pm. I immediately rushed home to participate but when I arrived a little over 830 pm my niece and nephew already shut the lights in our home. We participated (not completely though). We just turned off all the lights but left one light open at the backyard and lighted a candle inside the home. Oh well, at least I did something for our Mother Earth. Yesterday, it was my dad's BIRTHDAY and I just hope he is still alive bec. he'd be 75 that day. Eventhough he is not around already still celebrated it simply. I dreamed about him the other night and I was talking to him but I didn't saw his face. I woke up right after that and I uttered " Happy Birthday, Dad". I hope he is happy wherever he is. SIL cooked yummy pancit too paired with bread. After eating the pancit, all of us made our own halo-halo. I intentionally put lotsa beans in my cup bec. it's my fave. 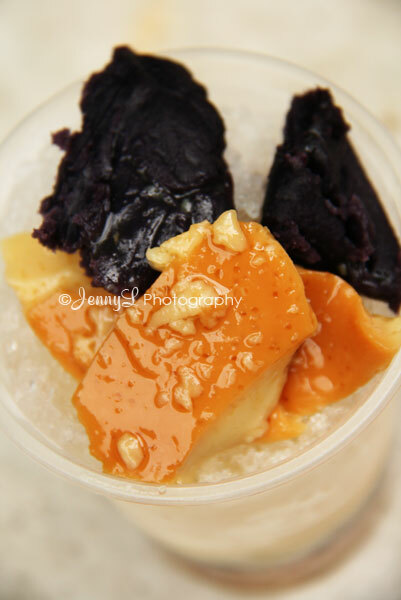 Ahhh just love the leche flan and the sweet beans..I ate about 1 and 1/2 cup of this.. soooo yummy. 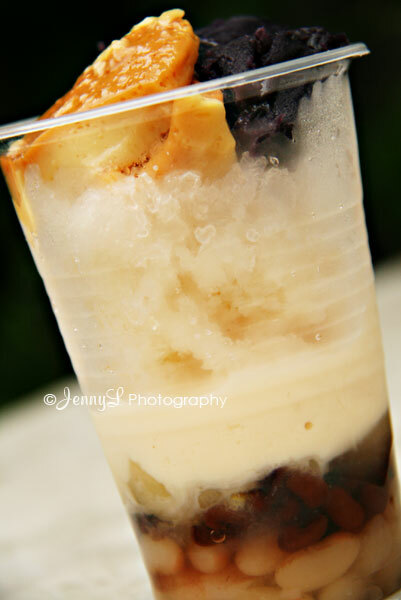 That is why up to now I am so full..
What's your fave halo-halo ingredient? Are you already drooling?? I am a member of our local Social Security System for many years now and people engaged in business or working for some are encouraged to pay their monthly dues so that they can rip the fruits of their labor when they need it. Not only those that are working or self employed are welcome but also those that wanted to contribute on their own or voluntarily. There are many benefits that you can get out of it when you are a member,from maternity benefits, sickness, death, disability and more. In the US, Allsup, the leading nationwide provider of financial and health care have been serving the people with disabilities with their social security disability benefits and medicare. Oh my I have a new set of wish list this year as you can see. I have shared this on my other blog but opted to post it here too. 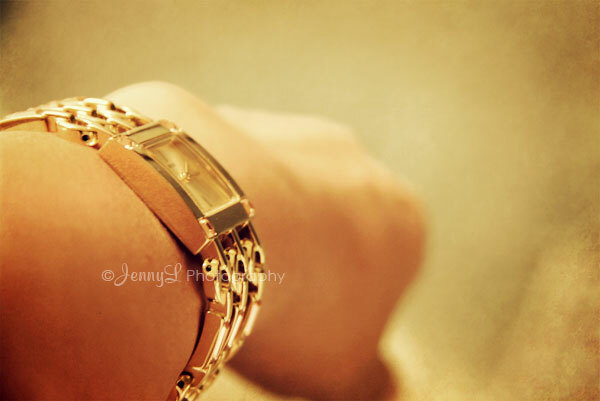 I have bought some on my last year's list and I am really keeping my fingers that I can buy these this year!! 3. Memory Card- My pc has only 2GB of memory and that is not enough to make my pc work fast as much I wanted to. I always use Photoshop application and also open other programs and surf the net at the same time. 5. HOYA 72mm UV filter - for my camera's lens as well. There has been a major clamor all around the globe to save our Mother Earth, in fact, on March 28, just in case you didn’t know yet, it is the Earth HOUR. I reckon every one of us take do our part in anyway we can. Many companies these days have been more conscious too, so they are developing products that are environment friendly.
. Every buildings or establishment must have clear Exit Signs that can be visibly read by their employees and clients/customers alike. With their photoluminescent technology, they have been producing all kinds of energy saving exit signs that can minimize the use of electricity thereby reducing electric consumption. Aside from that it can be installed easily, it uses no electricity so no wiring and no toxic battery are used. With this kind of invention, those old and outdated styles ofexits signs that other companies are using should be replaced with these. Should you be interested in upgrading into this Eco-friendly, Non-electrical Exit Signs and to know more about this product then by no means you can browse and contact exitsigns.com for they have wide selection of signs from Photoluminescent Exit Signs, Edge-Lit Exit Signs, Tactile ADA Braille, Fire/ Emergency Exit Signs and more. Ito ang aking sapatos na binili sa akin ng aking kapatid habang kami ay namimili sa isang shop as Australia. Bumili sya ng ganito kulay gray at tanong nya kung gusto ko rin.. Aba eh di syempre. no. tatanggi ba ako sa grasya? hehehe..
Malambot sya sa paa pero d ko na sya masyadong sinusuot dito sa Pinas kasi ang init sa paa hehe!! Tignan pa ang ibang lahok sa LITRATONG PINOY. Sometimes I have the tendency to forget or set aside some things so by the time I need it, I cram to buy or do it. I have note pads where I always put the things that I need to accomplish or topics that I need to blog about but with so many things going on, there are times it slipped my mind. I have been meaning to have my room painted since it's paint was dated many years ago and it already looks awful. I also need to buy a new computer chair for my shop and I have to go at the office furniture by weekend to check on the price. My dentist appointment is also way long overdue, i need to get a new filling on my front tooth. My gray hairs are also waiting for a new hair color this weekend. Those gray hairs are so disgusting and unsightly to see.. Ahhh I need to accomplish these this month. Labels: Cartoons, Digital Photography, Family, Kids, Photo-a-day, Photography, Photos, Wordless Wed.
My 5 yr old niece just recently graduted from KINDER 1 last Wednesay and that means next school yr. she's PREP already. I put a little bit of make up on her face for this special day. 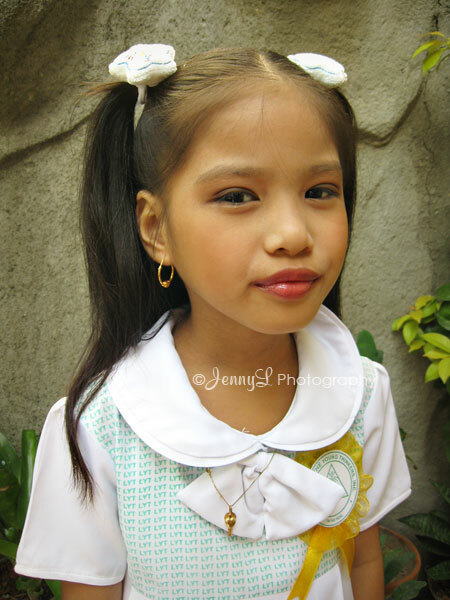 I wasn't able to attend the graduation rites but I managed to take some few photos of her bec. going. She was in nice mood that time esp. when she saw the colors on her lips and face..lol. I'm actually looking forward at the annual midnight sale of Robinson's Galleria and other department stores. It's actually a long wait from now since they are having the big sale before Halloween hehe and that means I still have the time to save more money to have more funds for shopping. I was kinda in a "saving mode" these days bec. I have so many stuff that I wanted to buy this year. A friend buzzed me about this, so I am sharing this too. 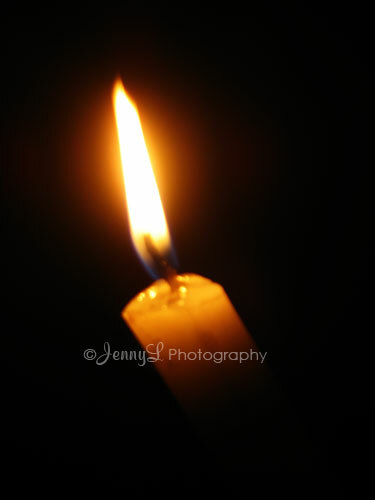 Let us all support the Earth Hour 2009. It will be on 8.30pm Saturday 28 March. Let us all VOTE EARTH by simply switching off your lights for one hour, i guess it's not a hard thing to do right? Mahilig ako sa relos at ito ang isa sa mga paborito ko and Guess watch. Bukod sa maganda sya at matibay, paborito ko ito dahil bigay sa akin ng broinlaw ko nung kami ay nabaksayon sa Hamilton Island sa Australia. This is what my mom and I had for dinner last Sunday. 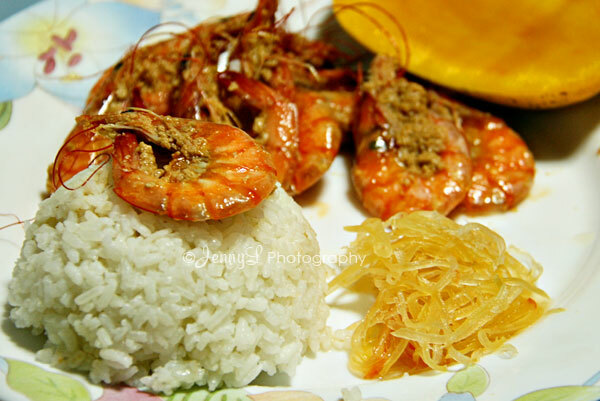 It's shrimps cooked in coconut milk. It's actually a reheat bec. mom cooked it in the morning so as you can see the shrimps are kinda dry and looks overcook already..lol but still it's yummy. I am trying to eat healthy snacks 2 days in a row already. On Saturday, I ate a Fuji apple, bread and just plain water.Just thought of muchin' fruit this time so that I can avoid the sinful sugary snack and Coke that I am having almost every afternoon snack. 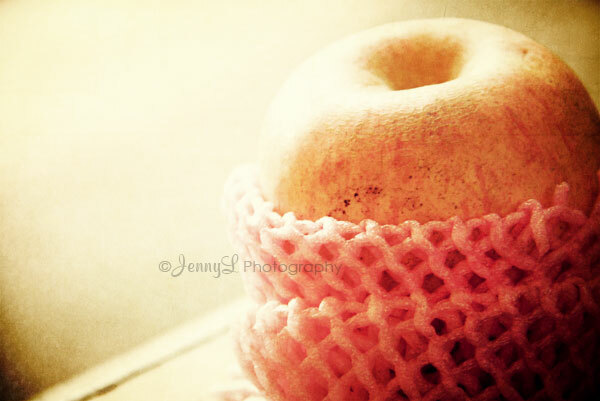 Like they say an apple a day keeps the doctor away.. hehe I hope by eating apples, i can stay away from being sick. My 11 yr old nephew was sick again last week and that time it is due to tonsillitis. He is sickly and with his think body frame and not wanting to eat healthy foods there’s no wonder why he is sickly. I remember last year he was hit a dengue fever that almost got his life if not treated immediately. The doctors told that if he was not immediately admitted in the hospital he’d be dead already. Poor child, he was even got blood transfusion that saved his life. It was a very bad case of dengue fever and we are very thankful that he survived that. His parents were already crying and asking for financial help bec. he was hospitalized for almost a week in the ICU. They were fortunate to go to a good hospital that immediately diagnosed his case. The kid was so frail esp. when he a foley catheter was put on him. Good thing is that it didn’t get any infections on him as the hospital has good equipments. They must be getting quality medical supplies at Allegro Medical. I wish I have known Allegro Enterprises before because, when I was still in Medical schools we are finding suppliers that can give us low prices but with good quality equipments. 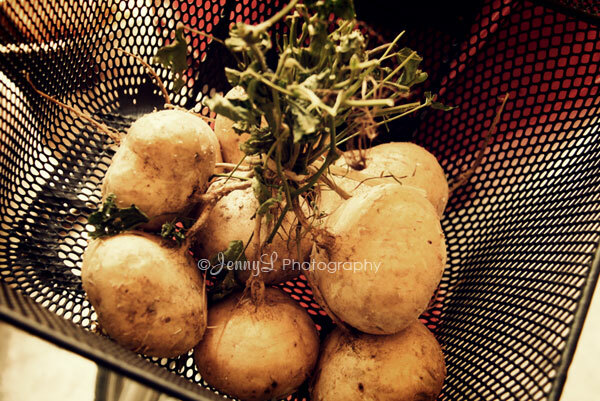 Mom bought these SINGKAMAS (native turnip or also called JICAMA) at the market last Friday. I always have fond memories about this juicy vegetable bec. it always reminds me of summer and Holy Week. We always make "fresh lumpia" during Holy Week when we are not allowed to eat meat. This vegetable is very versatile bec. you can eat it with salt, while others prefer it with vinegar and bagoong (shrimp paste) which I don't like and of course you can cook this together with other veggies. 1. When I look to the left, I see all the computers for rent here at my next cafe. 2. Kitchen is the room that has the best view in my home. 3. Let it work on me baby..
4. Artscow printing, done dirt cheap! 5. Discipline is a responsibility that all qualified citizens must share. 6. If you have any freebie digikits feel free to share it with me so that I can use it on my scrapping. 7. And as for the weekend, tonight I'm looking forward to lock myself in my room to watch my fave TV show, tomorrow my plans include cleaning up my room and Sunday, I want to to go to the nearby mall to canvass for a ticket fare on different airlines and probably a notebook memory for my nephew. Watched another episode of ANG PINAKA last night at 6 pm over at QTV 11. Love the show but I just hate the host LOL!. 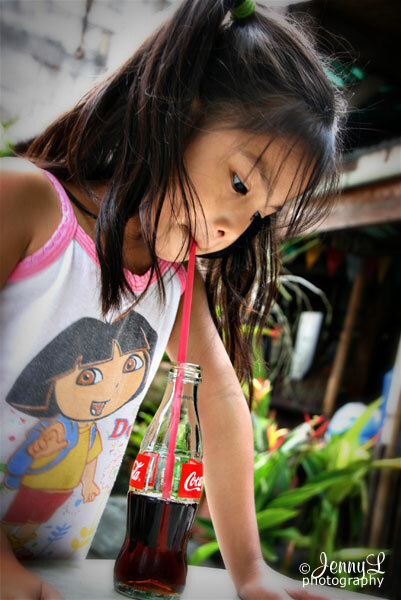 Anyway here is the Ang Pinaka: Must Try na Summer Coolers (Pampalamig). While watching, I can't help but to crave for these summer coolers. They look all refreshing and delicious. have you tried any of these? 6. LIQUID NITROGEN ICE CREAM - by ZENSES located at A.Venue Mall, Ground Floor, Makati Ave.
- store located at Murphy Quezon City-their halo halo is unique bec. it has grated cheese on top. Me and Reign after last Sunday's lunch at bro. 's place. Thinking what to take picture for the day when I saw the shiny aluminum body of our private tricycle so I thought it;s nice to pose in front of it. 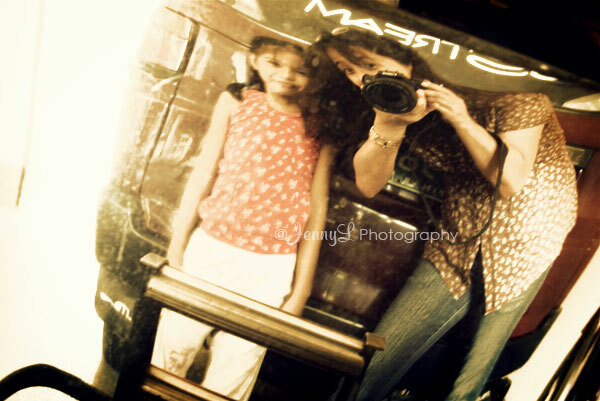 My curious niece approached me and asked me what am I taking photos of and I said myself thru the reflection. She thought it's nice so she hopped in to have fun. 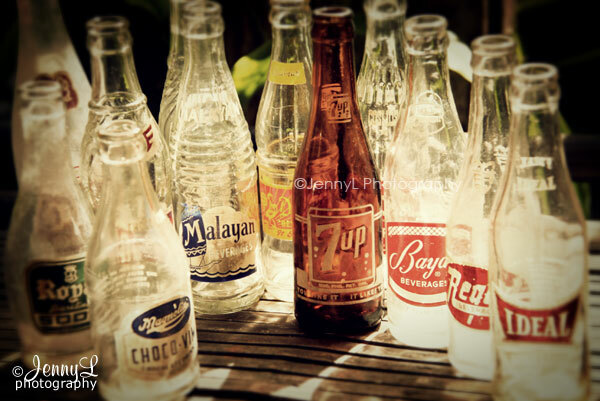 These are some of the Antique Bottles of the Phils Circa 50's 60's and 70's. FYI, my oldest bro collects memorabililas from old LPs, coins, bottles, photos of celebs.. and many more. He has a small gallery here at their house that serves or starts up a conversation. I was looking for something interesting to take pictures and he told me to take some shots of these cool antique bottles that probably most us didn't see yet. These are his precious collections that he has collected over the years. Can you recognize any? Wedding, the most planned event of couples who are tying the knot. It is often times daunting for many esp. if they think the huge preparations that come with it. Those that can’t do it hired professional wedding planners to take of the hard work in them, a good move for some particularly if money is not a problem. If you are tying the knot soon or you’re a wedding coordinator, you can find abundant and fresh supplies of wedding flowers at Fifty Flowers online. You can choose among their vast collection of flowers and flower arrangements that will suit any bride’s taste. What is a wedding w/o them so fresh flowers at its best are just a few clicks away. I am sure Fifty Flowers’s staff would be happy to reply to your quires. Eto po ang aking 6 Million Crumpler Bag na niregalo ko sa aking sarili bukod sa (Canon 18-200mm IS lens) nung aking kaarawan noong Nov. 2008. Kahit medyo mahal po eh pikit mata ko siyang binili sa Greenhills para gumanda at d masyadong halatang camera bag. Sa Digital Walker sa Geenhills sa ko po ito binili pero meron din po sa Crumpler Megamall. Kung nais nyo pong makita ang loob nito ay tignan nyo DITO. Medyo malaki po sya sa akin pero swak na swak naman ang camera ko sa loob. Masama lang ang loob ko dito sa Crumpler bag ko kasi minsan ay natabig ko ito at ito ay nahulog. 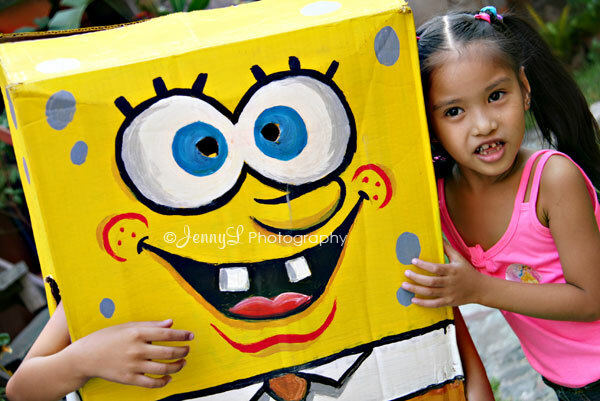 Sa kasawiang palad po ay NASIRA ang 50mm 1.8 lens ko po. (d ko pa napagawa!!! ), d kinaya ang impact siguro at hindi nasagip ng cushion ng crumpler .. hmmmpp.. pero loves ko pa din itong bag ko na ito. Eto nga pala ay lahok ko sa LITRATONG PINOY!! This is what makes her in trouble. My 5 yr. old niece Reign throws tantrums if he rmom would not let her drink this. Sometimes she'd not eat lunch bec. she wants this. I know it's very bad for her but her mom keeps on giving this just to make her stop crying and to make her eat. Boooo.. This day she had what she wanted after eating lunch. How'd I wish she'll stop drinking .. sigh..
.. oh I should not be discussing this yet here but I am just really so excited on our HOngkong Trip this end of the year bec. this will be my 1st time to go to Disneyland. What makes it more special is that almost the whole family are going there. Right now I am scouting for fare prices of tickets and hotels, just saw extended stay hotels and I will look into that. I am not sure yet what airlines are we getting,: Cathay, PAL or Cebu Pacific, have to know which one is offering the lowest rate. I still have to call other agency and I will just get the one that will give me the best deals. 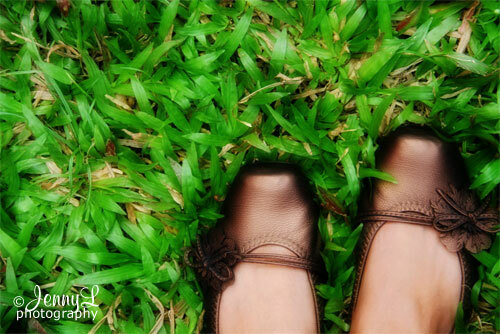 Yay, and it's Sunday today and what a nice day to just chill and relax for a while. I am not going out today, I mean I will not go to the mall bec. I just might end up buying something that is not necessary. Actually I am trying to save this year bec. I have so many many projects to accomplish like I want to buy a laptop so that I can use it a home. I also want to buy stuff for my DSLR cam and I want to have a pocket money for our Hongkong trip in Dec. I hope I can save a lot so I can shop endlessly hehe. Anyway, I guess I will go home early today (I'm here at my shop) so I can drop by the grocery store to buy some stuff and look for a mold killer if there is one available there. Mom is asking our helper to clean up or garage soon. Nothing much good today, I am just going to splurge on using the net, watch TV later till midnight. Happy Sunday everyone! Yep you read it right the popular rock band is having a one night concert here in the Manila, Phils. and our very own ARNEL PINEDA will rock the night away. This is a part of JOURNEY's ASIAN Tour that started in Japan.